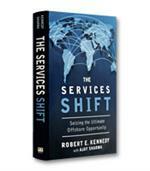 In a provocative book for business and government leaders, Gallup Chairman Jim Clifton describes how this undeniable fact will affect all leadership decisions as countries wage war to produce the best jobs. 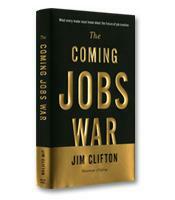 While the statistics are dire, Clifton remains optimistic about America’s ability to win the jobs war. The Coming Jobs War offers a brutally honest look at America’s biggest problem and a cogent prescription for solving it. What the business community needs to do so that it can compete with cheaper labor. Why the health care system must stop wasting the resources that we need to spend on job competition. Why society needs to realize that entrepreneurs, not government, are the source of new jobs and put all its energy behind them. Why leaders must recognize universities, mentors and especially cities as powerful sources of job creation. Why everyone needs to compete to win the coming jobs war.